In about half the cases of referred ear pain, the problem is with the teeth or mouth, and might be better diagnosed by a dentist. An abscessed or fractured tooth, periodontal disease or impacted wisdom tooth may cause ear pain. You may need a complete dental evaluation, including all the necessary X-rays. Another mouth problem that can cause pain in a normal ear is temporomandibular joint dysfunction, where the lower jaw is not properly seated in its joint with the rest of the skull. Ear pain has other possible causes, including sinus, tonsil, salivary gland, and throat infections. Neuralgias of the nerves to the face and head or a condition called temporal arteritis may also show up as ear pain. Although rare, other causes that might be considered are tumors of the chest, neck and head. Success with your dentures, whether new or a replacement, depends on a few simple tips. First of all, and most importantly, rely on your dentist or prosthodontist. Your oral care professional can offer the best advice to help you live your life with dentures. In addition to this professional advice, here are a few things you may expect to experience while adjusting to dentures. You're probably concerned about how your dentures will look and feel. Some awkwardness is normal at first and usually diminishes quickly. Before you know it, you'll feel more confident about wearing your dentures. New wearers often report a “full-mouth” feeling, as though the dentures are too big and pushing the lips forward. This feeling will diminish as you adjust to wearing dentures. They may feel like they don’t fit properly at first. They may “gag” you or cause you to bite your cheek or tongue. If you wear an upper denture, it may take some time for your tongue to get used to the feeling of being pressed against the denture and not your palate. Don’t worry. These problems will decrease over time. Your dentist or prosthodontist may recommend the use of a denture adhesive to help you feel more confident. Because a denture is a “foreign object” in the mouth, you may produce more saliva for awhile. This, too, will decrease and eventually go away. Something as simple as sucking on a mint or hard candy will encourage you to swallow more frequently, clearing excess saliva. Some soreness is also expected, usually within a few hours of putting your dentures in your mouth. 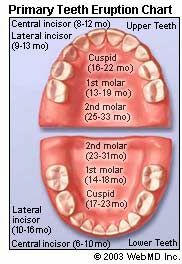 If it continues, see a dental professional; never try to make adjustments to your dentures yourself. When you speak, much of the sound of your voice reaches your ears through vibrations in the bones of the jaw and skull. Wearing dentures changes the sound, and makes it seem louder. This change will be much less noticeable to others than to you. If your dentures click when you speak, try speaking more slowly. The muscles in your lips, cheeks and tongue are learning to keep the denture in place. Time and practice will overcome this difficulty. Divide up food in your mouth so that you’re chewing one half on the back left side of your mouth and the other half on the back right. This will even out the pressure on your dentures. Start with soft foods, such as eggs, fish, chopped meat, cooked vegetables and puddings. Lasers have been used in dentistry since 1994 to treat a number of dental problems. Yet, despite FDA approval, no laser system has received the American Dental Association's (ADA) Seal of Acceptance. That seal assures dentists that the product or device meets ADA standards of safety and efficacy, among other things. The ADA, however, states that it is cautiously optimistic about the role of laser technology in the field of dentistry. These lasers are different from the cold lasers used in phototherapy for the relief of headaches, pain, and inflammation. What Are the Pros and Cons of Using a Laser in Dentistry? Lasers can't be used on teeth with fillings already in place. Lasers can't be used in many commonly performed dental procedures. For example, lasers can't be used to fill cavities located between teeth, around old fillings, and large cavities that need to be prepared for a crown. In addition, lasers cannot be used to remove defective crowns or silver fillings, or prepare teeth for bridges. Traditional drills may still be needed to shape the filling, adjust the bite, and polish the filling even when a laser is used. Lasers do not eliminate the need for anesthesia. Laser treatment tends to be more expensive -- the cost of the laser is much higher than a dental drill. Lasers can cost between $39,000 and $45,000, compared to about $600 for a standard drill. Oral cancer is typically painless in its early stages and often goes unnoticed by the patient until it spreads, leading to chronic pain and sometimes loss of function before it is diagnosed. In its later stages, oral cancer can lead to surgery and facial and oral disfigurement. Surgery can include removal of a portion of the tongue and jaw. The next time you visit your dentist, ask about your oral cancer screening � most people receive one during their regular dental checkup but do not realize it. Every year, 35,000 Americans are diagnosed with oral cancer, which accounts for roughly 7,500 deaths each year. "If detected early, oral cancer can be cured," says Academy of General Dentistry spokesperson Fred Magaziner, DDS, "That is why many dentists make this a part of their routine dental examination for their patients." "Often, patients don't realize the exam is being conducted because it is a quick, comfortable addition to the patient's regular dental checkup," notes Dr. Magaziner. Sensitivity. Since protective enamel is wearing away, you may feel a twinge of pain when you consume hot, cold or sweet food and drink. As more enamel is worn away, teeth become increasingly sensitive. Discoloration. Teeth can become slightly yellow because the thinning enamel layer exposes the underlying dentin. Transparency. Your front teeth may appear slightly translucent near the biting edges. Cracks. Small cracks and roughness may appear at the edges of teeth. Your dentist may also recommend daily use of a toothpaste to reduce sensitivity (over-the-counter or prescription strength) or other products to counter the effects of erosion. Scientists and oral health care providers have known for decades that bacteria are responsible for periodontitis, or gum disease. Until now, however, they hadn't identified the bacterium. "Identifying the mechanism that is responsible for periodontitis is a major discovery," said Yizu Jiao, a postdoctoral fellow at the U-M Health System, and lead author of the study appearing in the recent issue of the journal Cell Host and Microbe. Jiao and Noahiro Inohara, research associate professor at the U-M Health System, worked with William Giannobile, professor of dentistry, and Julie Marchesan, formerly of Giannobile's lab. "Nod1 is a part of our protective mechanisms against bacterial infection. It helps us to fight infection by recruiting neutrophils, blood cells that act as bacterial killers," Inohara said. "It also removes harmful bacteria during infection. However, in the case of periodontitis, accumulation of NI1060 stimulates Nod1 to trigger neutrophils and osteoclasts, which are cells that destroy bone in the oral cavity." "The findings from this study underscore the connection between beneficial and harmful bacteria that normally reside in the oral cavity, how a harmful bacterium causes the disease, and how an at-risk patient might respond to such bacteria," Giannobile said. Interleukin Genetics, Inc. (OTCQB: ILIU) have announced the online publication of the research study "Patient Stratification for Preventive Dental Care" in Journal of Dental Research. The study provides new insights into the prevention of periodontitis (gum disease) and the opportunity for significant advancement in the delivery of personalized, preventive dental care. Periodontitis affects 47 percent of the adult population. The study explored the influence of three key risk factors for periodontal disease - smoking, diabetes and genetics - on tooth loss given varied frequencies of preventive dental visits that included cleanings. By examining claims data from 5,117 patients without periodontitis throughout a 16 year period and conducting genetic testing, researchers determined that patients with genetic variations of the IL-1 genotype, or one or more other risk factors examined, were at significantly increased risk for tooth loss and therefore require more preventive dental care. The IL-1 genetic variation was the single most prevalent risk factor - nearly one in three Americans carry this genetic variation. This study demonstrates the important opportunity to provide more effective preventive oral care through the use of risk-based patient assessment that includes genetic testing. Research was conducted under the direction of Dr. William Giannobile, Najjar endowed Professor of Dentistry and Biomedical Engineering, and Chair of the Department of Periodontics and Oral Medicine at the University of Michigan. Periodontitisis a bacterially induced chronic inflammatory disease that destroys the bone and gum tissues that support the teeth. It is one of the most common chronic diseases of the body. It causes bleeding and swelling of the gums, loose teeth, bad breath and can ultimately lead to tooth loss. Severe periodontitis has been associated with increased risk for multiple other diseases, including cardiovascular diseases, diabetes and rheumatoid arthritis. One in four Americans over age of 65 have lost all their teeth. "Dentistry has long been a leader in the delivery of preventive healthcare to patients. The findings of this study provide dental clinicians with the opportunity to offer personalized, preventive care that is based on new insights into the importance of genetic risk factors," said Dr. Kenneth Kornman, Chief Executive Officer of Interleukin Genetics, which developed the genetics test used in the study. "Personalized medicine is an important frontier in healthcare driven by the clinical application of genetic and molecular information. Genetic-based risk assessment has long promised to improve prevention and treatment of chronic diseases," said Sir Gordon Duff, Professor Emeritus of Molecular Medicine the University of Sheffield and co-author of the paper. "The findings of this study represent perhaps the first broad scale application of genetics to help prevent a disease that is very prevalent, costly and preventable." Periodontitis initiation and progression is driven by two factors: bacterial plaque that initiates the disease and the body's inflammatory response to bacteria which, when overly aggressive, causes breakdown of the bone and tissue that support the teeth. This inflammatory response varies greatly within the population and is significantly impacted by individual genetic make-up. Genetic testing can identify patients who have an increased inflammatory response to oral bacteria which significantly increases risk of periodontitis and tooth loss. Smoking and diabetes also contribute significantly to the risk of periodontal disease. "Ultimately, patients should be evaluated by their dentist regularly and receive needed preventive care before any symptoms of periodontal disease appear. This disease can result in disfiguring bone loss around teeth and has been implicated as a risk factor for multiple systemic conditions that benefit from early stage prevention," said periodontist Donald S. Clem, III, D.D.S., Diplomate, American Board of Periodontology, Past President American Academy of Periodontology. "Historically, we have lacked the prognostic tools to effectively identify patients at greatest risk for periodontitis. This study underscores the need to adopt a genetic, risk-based approach and gives patients a compelling new reason to visit the dentist for a comprehensive periodontal evaluation. As we see with other chronic diseases, identifying and understanding genetic predisposition to disease is a critical component of long term prevention." Billions of people across the globe are suffering from major untreated dental problems, according to a new report led by Professor Wagner Marcenes of Queen Mary, University of London, published in the Journal of Dental Research. Professor Marcenes of the Institute of Dentistry at Queen Mary led an international research team investigating oral health as part of the Global Burden of Disease (GBD) 2010 study. The report shows that oral conditions affect as many as 3.9bn people worldwide - over half the total population. Untreated tooth decay or cavities in permanent teeth - also known as dental caries - was the most common of all 291 major diseases and injuries assessed by the GBD 2010 study, affecting 35 per cent of the world population. "There are close to 4bn people in the world who suffer from untreated oral health conditions that cause toothache and prevent them from eating and possibly sleeping properly, which is a disability," comments Professor Marcenes. "This total does not even include small cavities or mild gum diseases, so we are facing serious problems in the population's oral health." The GBD 2010 estimated that the disability associated with severe tooth loss was between those reported for moderate heart failure and moderate consequences of stroke. Oral conditions accounted for an average health loss of 224 years per 100,000 people (years lived with disability or YLDs) - more than 25 out of 28 categories of cancer assessed in the GBD 2010 study. The study found that the global burden of oral conditions is shifting from severe tooth loss towards severe periodontitis and untreated caries. It found that the global burden of oral diseases increased 20 per cent between 1990 and 2010, while a reduction of 0.5 per cent was observed for all conditions together. This increase was mainly due to population growth and ageing. Professor Marcenes interprets this observed shift: "Tooth loss is often the final result when preventive or conservative treatments for tooth decay or gum disease fail or are unavailable. It is likely that current dental services are coping better to prevent tooth loss than in the past but major efforts are needed to prevent the occurrence and development of gum diseases and tooth decay. Ironically the longer a person keeps their teeth the greater the pressure on services to treat them." The largest increases in the burden of oral conditions were in Eastern (52 per cent), Central (51 per cent) and Sub-Saharan Africa, and Oceania (48 per cent). The Global Burden of Diseases, Injuries, and Risk Factors Study commenced in the spring of 2007 and was a major effort involving nearly 500 scientists carrying out a complete systematic assessment of global data on all diseases and injuries. Professor Marcenes comments: "Our findings are set to shake up the setting of health priorities around the world, providing an unparalleled amount of up-to-date, comparable data on the diseases, risk factors, disabilities, and injuries facing populations. "The findings of the GBD 2010 study highlighted that an urgent organized social response to oral health problems is needed. This must deal with a wide array of health care and public health priorities for action."